The necropolis of Dahshur is located 10 km to the south of Saqqara, extending along the fertile land on the west bank of the Nile. 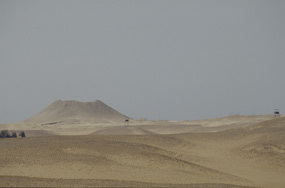 Eleven pyramids of the Old and Middle Kingdom can be seen in Dahshur. Five of the most important pyramids in Dahshur can be visited in a half-day excursion, because of their proximity to Cairo. Not only the pyramids and the desert are of interest, but also the fertile maize fields of Dahshur, surrounding a long extended pond, which served for thousands of years as a resting birds, are worth the trip. 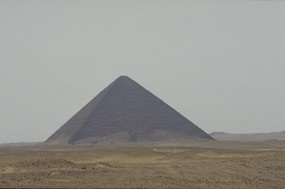 The height of the Red Pyramid is 101.15 metres and the length of it's sides at the base is 213 metres. The pyramid obtained it's name from the reddish limestone, used for the outer casing. 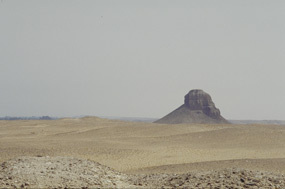 The three pyramids of the Middle Kingdom, from north to south, were constructed by Sesostris III, Amenemhet II and Amenenhet III. The northern and southern pyramids were built of mud bricks and are called today the "Black Pyramids". 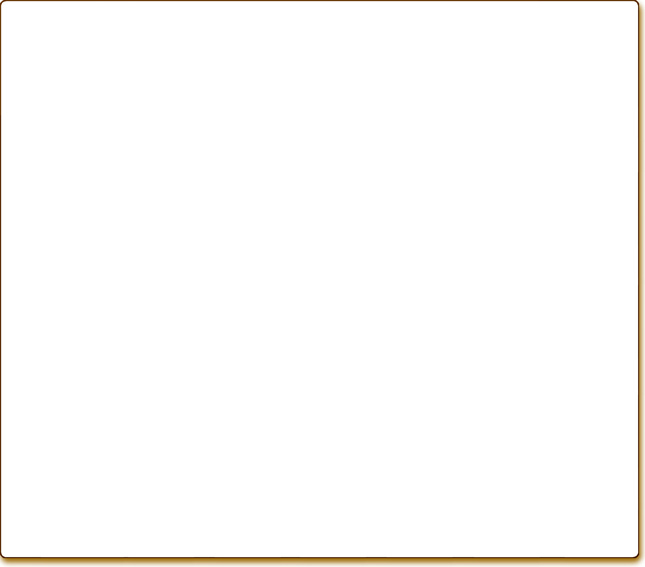 The middle pyramid is made of limestone blocks and is therefore, named the "White Pyramid". King Snefru, father of famous King Cheops, constructed the first pyramid at Dahshur about 2600 BC., which is called today the "Bent Pyramid". It owes it's name to it's odd shape, due to a change in it's inclination angle from 50° to 43° during construction. 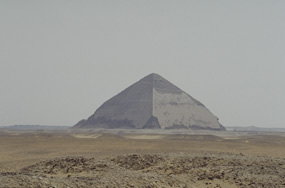 The pyramid is 105 metres high and it's sides measure 189 metres. 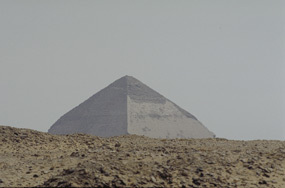 This pyramid is the second one constructed by King Snefru some years after the Bent Pyramid was built.